Looking for things to do in London this weekend? There is so much to do in the bustling capital city, from shopping in Spitalfields to mooching around the Tate Britain it can be difficult to fit it all in. 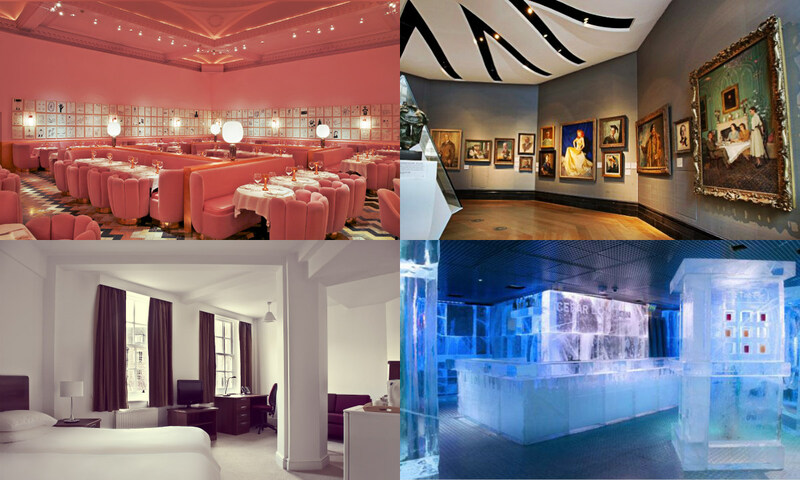 The UniversityRooms guide to a weekend city break in London plans your break from Friday night to Sunday morning with the best, places to stay, things to do and top tips to make your city break a weekend to remember! Every Friday night is the Late Shift at the National Portrait Gallery the Gallery is opened after hours for an exclusive look at some of Britain's best portraits. Enjoy an evening of drawing classes, talks and discussions, live music, and performance and of course. While you’re there why not grab a drink at the Late Shift Bar. Without a doubt, Sketch is one of the most stylish places to eat in London. Designed as a hybrid of all things food, design and art it has become a firm favourite with fashionistas and bloggers. It has made headlines for its award-winning chefs, pink interior and prosecco on tap. Each room has a different style and guests are asked to dress ‘with a sense of style and character’. Top tip! - before you set out on your travels check for tube updates to avoid delays, most of the underground engineering work in London is done at the weekend. Using Apps like CityMapper help plan your journey across the city via alternative routes when delays strike. Fancy eating your breakfast overlooking the Thames? 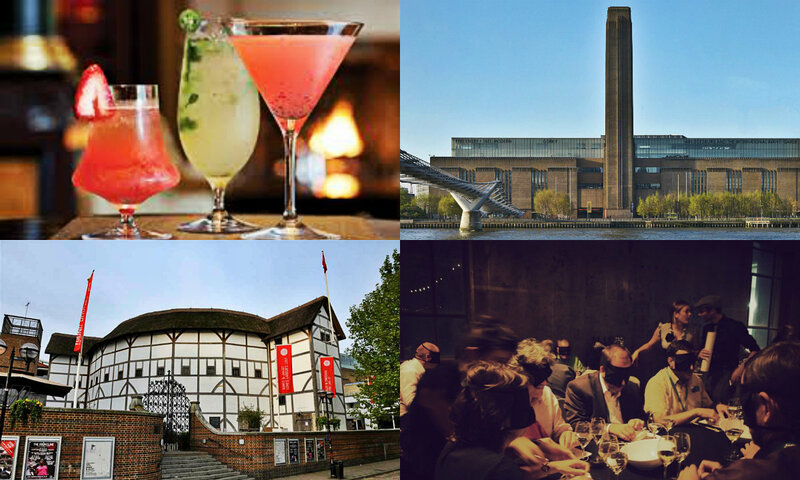 Then head to Swan at Shakespeare’s Globe, the menu includes delicious items such as Buttermilk Pancakes with Lake District streaky bacon and maple syrup, or Smashed Avocado and Poached Eggs on Sourdough toast. Very yummy, very Instagram-worthy. After breakfast have a wander around The Globe if you’re lucky you might be able to catch a Matinee performance. Just next door lies the Tate Modern Museum which recently hosted the David Hockney Exhibition. Get inspired and Gaze at artists such as Glenn Ligon, Marisa Merz and Dame Barbara Hepworth. Cross the Millennium Bridge and head for St Paul's and you’ll find Coppa, a popular independent restaurant with heaps of character and charm. The menu is mainly Mediterranean with lots of pizza, pasta, salads and sharing boards, brunch is served until 4 pm, and mains can be small or large depending on how hungry you are. Head down to the underground at Blackfriars station, and hop on the circle and district line, to Westminster Station. A quick walk past the houses of parliament and you’ll find yourself at the London Eye. Tourist attraction it may be, it provides stunning panoramic views of London that simply can't be beaten (provided you don't have a fear of heights). There is so much to London, especially in the evenings. For a cultural experience why not head to the theatre. The National Theatre at South Bank always has a fantastic range of plays on, such as this month's highlights, ‘Barber Shop Chronicles’ and ‘Common’. Alternatively, The Old Vic is currently performing the gritty and emotive, ‘Woyzeck’ starring John Boyega (Star Wars). Across town in the West End there are plenty of musicals to sing along to, from traditional theatre -favourites like ‘The Lion King’ (Lyceum Theatre) and ‘Wicked’ (Apollo Victoria Theatre) to newcomers like ‘Half a Sixpence’ (Noel Coward Theatre) they definitely will make a memorable evening! Want a truly unique dining experience? Why not head to Clerkenwell and try Dans Le Noir? A totally sensual experience, meals are served in absolute darkness, hosted by a visually impaired person. Expect your perception on food, socialising and dining to be totally changed. An after dinner cocktail is an absolute must in London, and the London Cocktail Club does it best. A handful of bars are scattered across the city serving delicious drinks and eclectic atmospheres. If you're heading there from Dans Le Noir, there is one locally in Islington. Top tip! Fed up of cramped tubes? 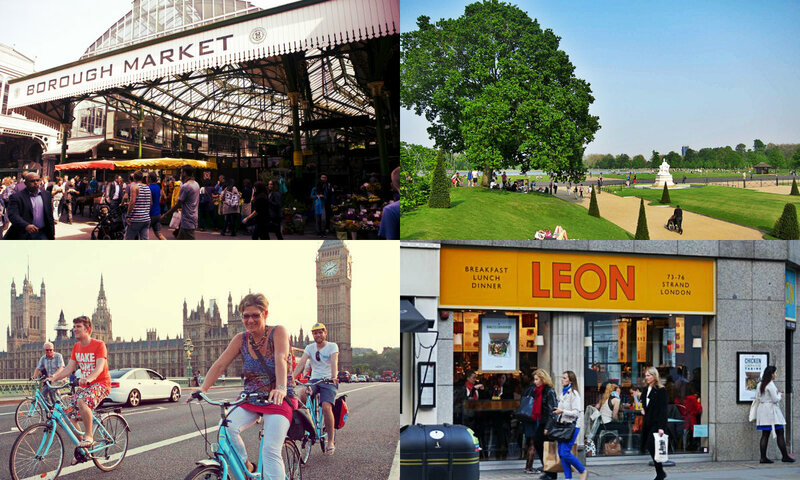 Why not make like a Londoner and see the city by bike? Barclays bikes are an affordable and healthy alternative to the underground or expensive taxis. Breakfast: Feeling Hungover? Nothing will lift your spirits like a leisurely stroll through Borough Market. Not only is there a wonderful range of street foods to tantalise your taste buds, there is also lots of eager stall-owners giving out free samples! Morning: Covent Garden has long been a favourite of tourists and Londoners alike, Have a mooch through the charming boutiques and watch some street performances whilst you sip on your Cappuccino. Lunch/ Afternoon: Sunday’s are days to take it easy, and a relaxing stroll through Hyde Park with a picnic makes for a dreamy Sunday. If you are looking for something nice and light to eat try Leon, the answer to ‘healthy fast food’ think delicious salads, rice bowls and meats in brown paper bags. Eco -friendly, healthy and yummy, just the detox you need before you head back to reality. UniversityRooms offers comfortable B&B style accommodation in student residences from just £35 a night. You don't have to be a student to benefit from these amazing nightly rates and great facilities. 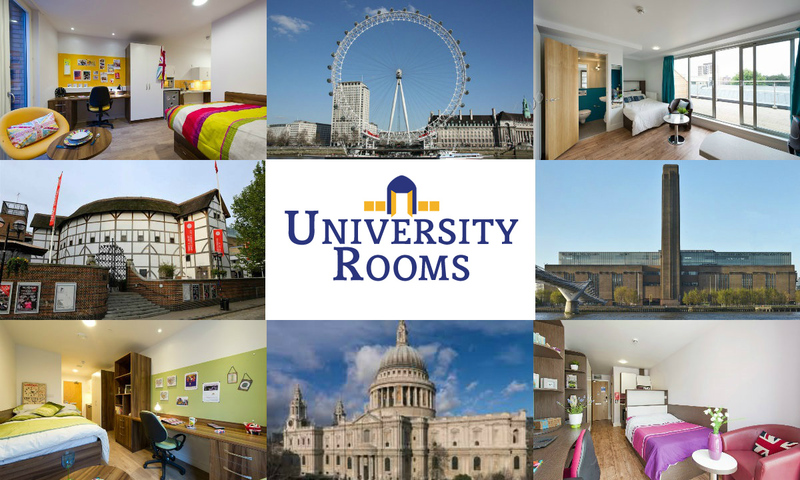 UniversityRooms.com is a quirky and affordable alternative to a traditional B&B, budget hotel or youth hostel.